This is the deal. The Democrats won’t allow the Federal Government to pay its bills unless the Republicans allow in enough illegal migrants so that Republicans can never again win a presidential election. If it weren’t for PDT you know how it would go. But there is PDT so we shall see. From Gateway Pundit. As previously reported, White House Press Secretary Sarah Huckabee Sanders released a blistering statement late Friday night on the Senate Democrats blocking funding the federal government in favor of amnesty for illegal alien DACA recipients. 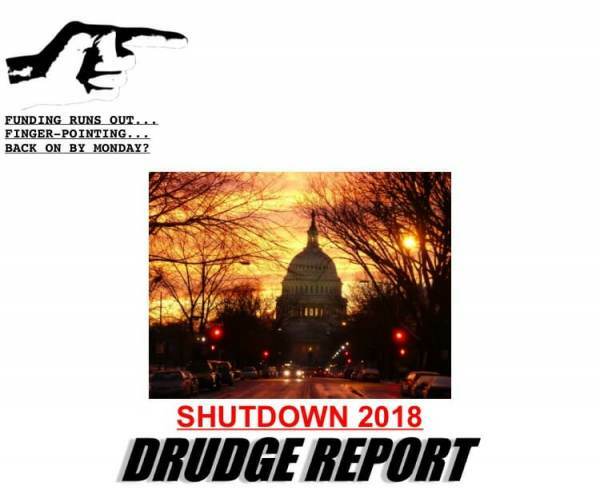 The Trump administration is putting America first and the Senate Democrats dug in their heels Friday night, shutting down the government in favor of illegal aliens.The House budget resolution failed a cloture vote in the Senate on a largely party line vote, 50 to 49. House Minority Leader Nancy Pelosi (D-CA) went on a tweetstorm then released a full statement on the government shutdown. 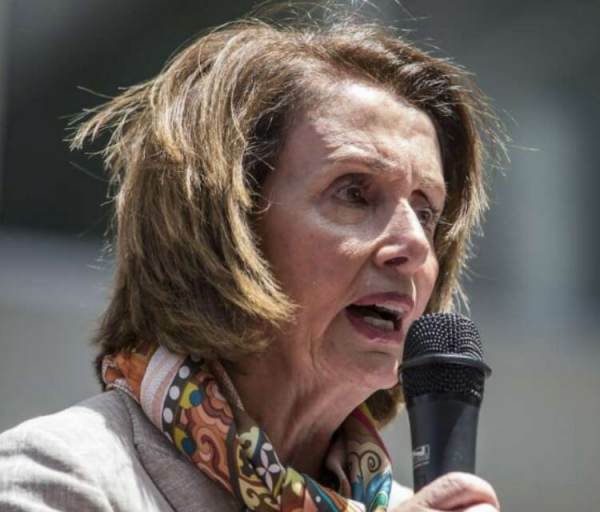 Pelosi accused Republicans of being blinded to their duties to the American people as she protects illegal aliens. Makes sense. “Tonight, on the eve of the first anniversary of his inauguration, President Trump earned an ‘F’ for failure in leadership. “President Trump and Congressional Republicans’ obsession with passing a tax scam to benefit the wealthiest and corporations has blinded them to their responsibilities to the American people. Despite controlling the House, Senate and White House, the Republicans are so incompetent, so negligent that they couldn’t get it together to keep government open. “Now as President, President Trump tweets that ‘our country needs a good shutdown.’ There is no such thing as a good shutdown of government. Republicans’ total inability to govern is once again threatening our economy, weakening communities, and dangerously depriving the military of the certainty they need to keep our nation safe. “I am proud of House and Senate Democrats’ unity in insisting on a budget that supports our military and the domestic investments that keep our nation strong, and that honors our values by protecting the DREAMers.